﻿You are very welcome to the website of St Mary's Secondary School. We are delighted that you have logged on to find out more about or school. Please explore our pages here on our website as well as our twitter account (@SMESecondary ) and our App (stmarysedenderry). St Mary’s Secondary School is a large co-educational, voluntary secondary school serving the communities in and around Edenderry. We have 838 students following the Junior Cert, Transition Year, Leaving Cert and Leaving Cert Applied courses. We have an extensive and expanding curriculum and a wide range of supports. In St Mary’s we seek to pursue excellence in everything we do. We encourage all of our students to set high expectations and to bring a positive approach to their learning. We have a great tradition of achievement, academically and in extra-curricular areas. The successes in the classroom and exam halls are matched by magnificent achievement on the playing fields, stage, competitions and elsewhere. We put equal value on the quality of relationships throughout the school with emphasis on students' well-being and welfare. These are supported by policies and our daily practice. St Mary's is implementing change and improvements all of the time. Our school has advanced in numerous ways in recent years. Development of our facilities will continue with a substantial extension due to start in summer of 2019. It is with great sadness that we hear of the passing of our much loved former colleague Phil O’Callaghan (27th Feb 2019). Phil was a lovely, kind lady. She taught Home Economics for many years until her retirement over a decade ago. All of her teaching colleagues and all of her students remember Phil with great kindness. She always had a kind, thoughtful word for everyone. Her instinctive caring nature gave her a special awareness for anyone who needed that extra helping hand - the true value in a great professional teacher. Her ‘motherliness’ and warmth impacted positively on a great many students and on all of those she worked alongside. Phil was free with her compliments, sharing them in an unassuming, self-effacing manner. Though always shying away from attention, she was entertaining and fun-loving. Her friends and colleagues benefited enormously from her generous spirit and her kind nature. Furthermore, her love of teaching and of Home Economics inspired her students to learn and enjoy. And for Phil it was not just theory. Her culinary skills were the envy of all who were lucky enough to experience them! Our thoughts go to her family friends as we mourn our joint loss. In particular, the management and staff of St Mary’s extend their deepest sympathies to Phil’s husband Brendan and to their children, Paul, Áine and Claire as well as to her extended family and her many friends. Well done to our TY students who completed a 25km hike in the Wicklow Mountains as part of their Gaisce Bronze Medal Award. Although the weather wasn't in their favour, the students completed the hike without any problems. They stayed overnight in the hostel in Glendalough and were up bright and early on Friday morning to complete another hike. Well done to all the students and the teachers who took part. Heineken Cup visits St. Mary's. The Heineken Cup paid a visit to St.Mary's where our rugby players enjoyed getting their pictures taken with the iconic trophy. Thanks to Leinster Rugby for organising the visit. ​Saint Mary's first year & some third year Art and Design students along with our Creative Schools focus group, took part in a most informative talk and workshop all about our wonderful bogs last Friday. The bog will act as a primary source of inspiration for our wonderful visual installation to be designed and made for an atrium space in our school. This piece promises to act as a strong visual statement and encourage other subject areas within the STEAM group of subjects to follow suit. Our very first Meitheal Youth Leadership team received their Certificates at a very special ceremony in Carlow yesterday evening. St Mary's joined 25 other second level schools from across the diocese and Bishop Denis Nulty . Magnificent occasion! Ms. Casey’s creative 2nd year Art students Lino Print Project. Students explored the Lino print technique for the first time. Students chose either Landscape or Animal as their theme. They created mind maps to brainstorm ideas. They researched their themes with a collage of images. Students documented the lino printing process into their Visual Diaries. It was an enjoyable process with lots of varied and interesting prints. Well done! Well done to all our 1st and 2nd Year athletes who were competing in the Leinster Schools event at the National Indoor Arena, Abbotstown. Our TY students recently took part in a First Aid course given by paramedic James Mullen. During the course the students learned vital life saving skills which will stand to them for many years to come. 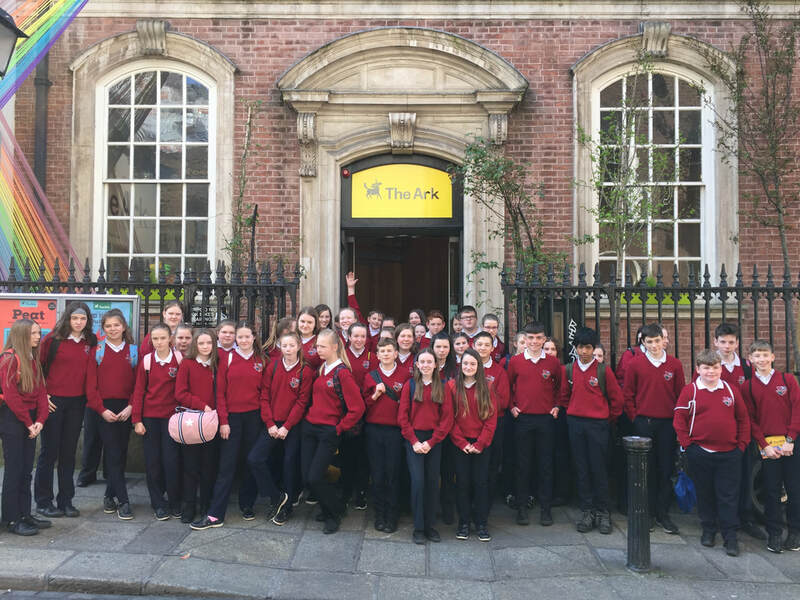 6th Year Music students recently visited the National Concert Hall to listen to recitals of various pieces of music which will be examined in their Leaving Cert. exams. Thanks to Ms. McEntee for organising the trip. Well done to the Prefects and to all the contestants in the Blind Date and Lip Sync Battle which was held on the last day of term before the Christmas holidays. The event was organised by the Prefects and was a fund raiser for Crumlin Children's Hospital. Edenderry GAA grounds were packed recently with teams from 10 schools for the 1st Year Girl's Football Blitz sponsored by LIDL. Congratulations to the winners from Rochfortbridge.and to Mr.Costello and the TY students who organised the event. ​Mindful Monday’s is a 9 week lunchtime programme for 2nd year students created by Ms. Casey. Each week we had a different theme focusing on introducing some awareness into life as a teenager in St Mary’s Edenderry Secondary School. Mindfulness means paying full attention to something. It means slowing down to really notice what you're doing. Being mindful is the opposite of rushing or multitasking. When you're mindful, you're taking your time. You're focusing in a relaxed, easy way. At the most simple level Mindful Mondays is an awareness-raising exercise to give all students a taste of mindfulness so that they know about it and can return to it later in life if they think it might help. However, for many pupils the course can relatively quickly lead to very positive outcomes: they feel calmer and more fulfilled; they can concentrate better; they have a toolkit to deal with stress and anxiety. 6th Year Geography students recently traveled to Killiney Beach in Dublin to complete their Geography Field Study for their Leaving Certificate. Well done to all who were involved in organising this year's Christmas Shoe Box Appeal. We have been supporting this very worthy cause for many years in St. Mary's and thanks to all who kindly donated gifts for the appeal. Well done to our prefects who organised a non-uniform/Halloween Fancy Dress competition in the school. The event raised €400 for local charity Little Wishes. Well done to all involved and to the prize winners on the day. ​St. Mary's Secondary School are off to a flying start in this year's interschools competition coming home with rosettes in our first event of the year. It was an early start for the school's two equestrian teams in Coilog Equestrian Centre near Newbridge on Sunday 23rd of September. Our first team into the ring, made up of Anna Lacey, Amy Carroll and Ruby Steuvens had three clear rounds and were the second team into the jump off. Our second team, made up of Ellen Dunne, Lucy Carroll and Isabelle Lawless jumped excellently but unfortunately had one pole down. Two riders from each team qualified to take part in the jump off and both Amy and Ruby performed well against the clock earning their team 4th place in the competition. Our next interschools competition is in Mullingar Equestrian Centre on Sunday 7th of October. Well done to all involved in the Teachers vs Students Basketball game on Friday 12th April. This was the last event organised by the prefects who have done great work throughout the year raising lots of money for various charities. The game itself was very exciting and one of the most keenly contested games in recent years with the teachers narrowly coming out on top. Well done to the Student's Council, to Big Brother Big Sister Group and to Mr. O'Connor for organising a very successful Happy Heads Week. The aim of the week is to promote positive mental health. Throughout the week students have been taking part in various physical activities including Zumba Dancing, walks along the canal, and various activities in the classroom. There have also been a number of guest speakers in talking about various topics such as mental health and drugs awareness. 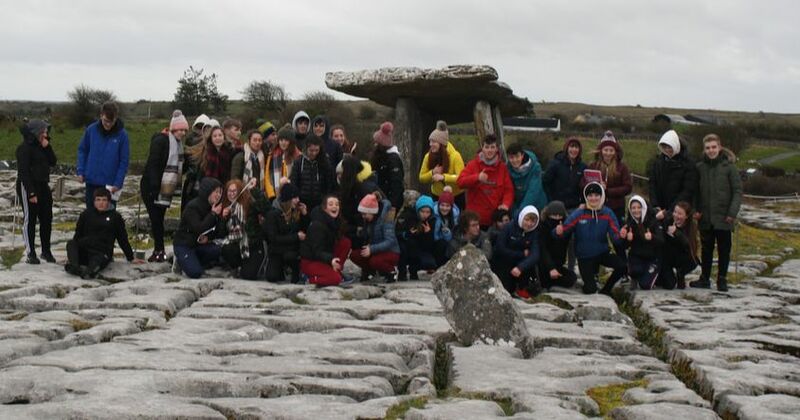 TY students has an early start on Monday 11th of March when they left Edenderry at 8am to travel to the Burren in County Clare. There they spent the day studying the various features that make up this unique Karst landscape. They also visited the Ailwee Caves. Congratulations to Ava Duane, Jenna Comerford, Jane Foran, Sai Jagili, Lee Pearson and Kyle Sheehy who recieved an award from the Department of Economics, Finance and Accounting in Maynooth University for their achievement in Business Studies in the Junior Certificate. The 6 St. Mary's students were among students from all over the country whose achievement in obtaining an A grade in Business Studies was acknowledged by the University. Well done to each of you and also to their teachers, Ms Potterton and Ms. Luttrell. There were plenty of budding entrepreneurs in the school gym on Wednesday 19th December when the TY class displayed their products they had been producing over the past number of weeks. Business was brisk during the morning with all sorts of gifts and gadgets being sold for the festive season. Well done to all involved and best of luck to the teams going forward to the County Enterprise Finals. 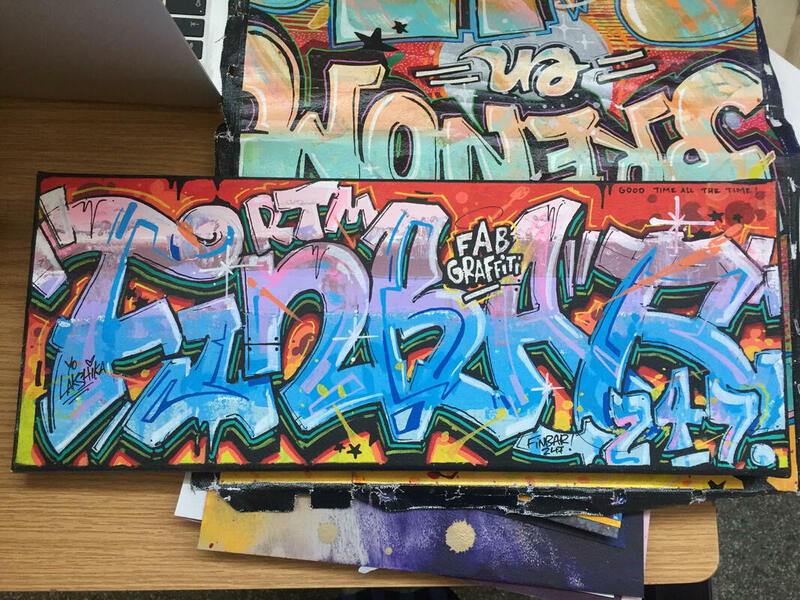 ​Miss Casey's excellent creative 1st year Art students created A3 Pop Art inspired Onomatopoeia collages using coloured card. The students researched the Pop Art Movement and did a project on the famous artist Roy Lichtenstein. We played a Pop song and each student presented there Pop Art Onomatopoeia college. It was a very POPULAR project!! 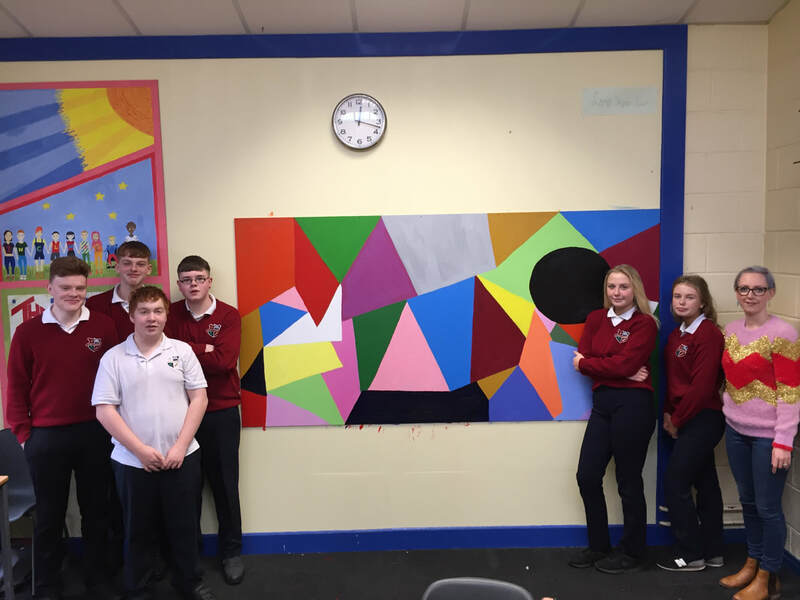 ​On November 16th 2018 the LCA 1 students along with Ms. Casey began their abstract painted mural in room 38. We had a brainstorming meeting to decide the design of the mural. We discussed what colours and shapes are important to represent our school in St Mary’s. It was very much a student led project with every student taking part in some aspect of the process. We had students help decide what colours to use and where. There was a lot of discussion on each shape we added. 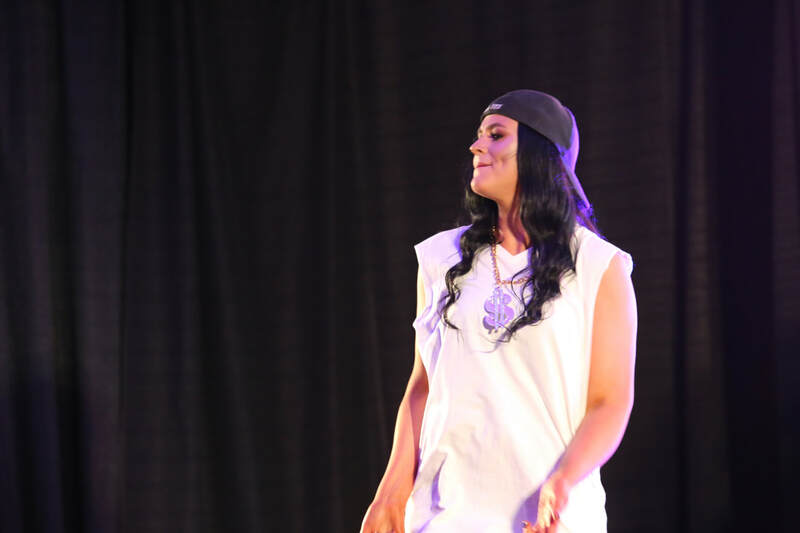 It was a creative and enjoyable experience for all involved. We are proud of the finished piece. The students of TY spent the day out of class on Thursday 15th November but while out of class they spent the day speaking As Gaeilge. ​The students spent the day having fun and games all through the medium of Irish. Well done to all involved and to the teachers who organised the day. 3 past pupils from St. Mary's, Aaron O'Neill, Jack Cully and Sam Doran were welcomed back to the school for a presentation to mark their success with Kildare in winning the U21 All Ireland Football Final. Well done lads from all in St. Mary's. We had over 700 visitors to the school on October 24th for our Open Night. The school was opened up for all potential 1st year students to come along with their families to get a taste of what goes on in St. Mary's. With the help of all staff and over 120 students the open night was a great success. We look forward to seeing you all again in January for the CAT testing. 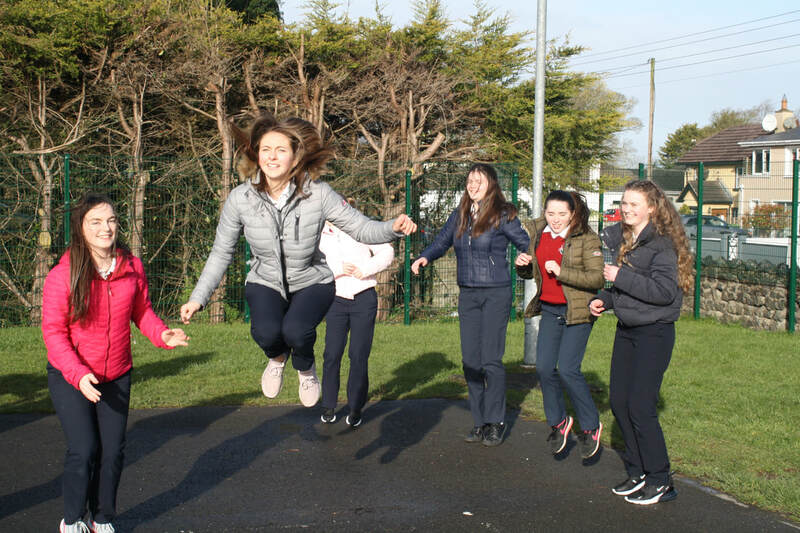 The entire 1st Year group from St. Mary's descended upon Croghan Hill last week to participate in a bonding day by taking on the Croghan Hill Challenge. It was a great success and as can be seen, all who took part thoroughly enjoyed it. A big thanks to the Meitheal Group who organised the day. St Mary’s Secondary school are celebrating today (September 12th) as 148 students receive their Junior Cycle Results. The results are very good, once again reflecting the students hard work and focus on this important chapter in their education. We are delighted to congratulate our students on their achievements today and over the past few years. We are delighted to celebrate with them alongside their parents and teachers. The school is very grateful to our parents for their support. We equally express our gratitude to our wonderful team of teachers who helped prepare the students for this process. On Wednesday 29th August the 1st year group Shannon started their Art taster. Students embarked on an exciting and fun learning experience. The Art element of line was explored. Students created four large mark making sheets using objects such as twigs, straws, bottle lids and teabags with black paint. Miss Casey played five pieces of music and each student created a mark or line to represent the music. Students enjoyed the group activity. Great fun was had by all students and teachers who traveled to the Tivoli Theatre for the Christmas Panto Snow White. Rumour has it that some of the teachers made fools of themselves on the stage!! When we arrived we were warmly greeted by our tour guides, Amanda and Ben, who first of all brought us on a short tour of the incredible Microsoft One Campus including the amazing DreamSpace room. We then did some tasks, the first of which involved learning about code, how to write it and what it is used for. It was a fun task and really helped explain how coding is so important in our everyday lives. Our second activity seen us making a short film in our assigned groups by using mixed reality, a more advanced version of virtual reality. We created our movies with the help of 3D paint characters. Afterwards we presented our movies to our fellow classmates, teachers and tour guides. It was great fun and afterwards we were kindly provided with refreshments and snacks by the Microsoft team. The whole experience was hugely beneficial as it helped show us how important technology is to us and what life would be like working in this area. It was also extremely enjoyable. 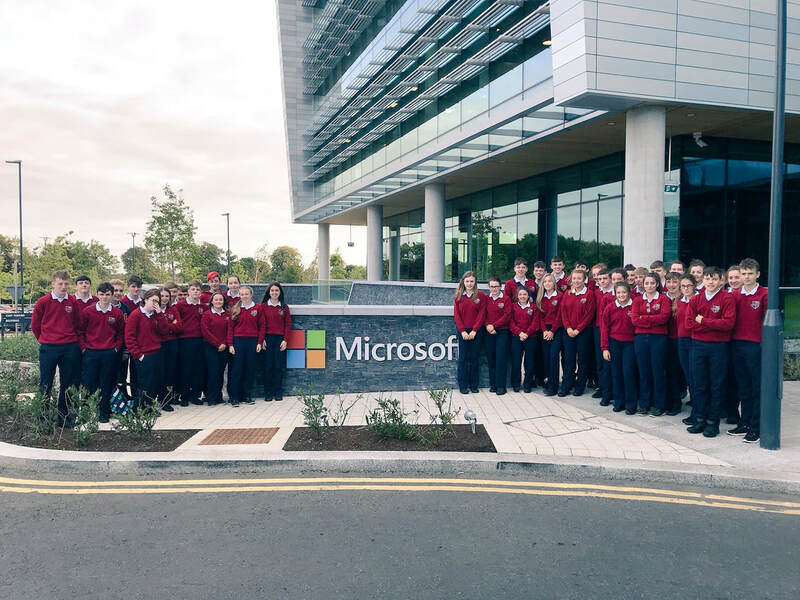 A massive thank you to our brilliant guides, Amanda and Ben and the whole team at Microsoft One for giving us the opportunity to attend Microsoft DreamSpace and for creating such a memorable experience. A special thanks to Mr. McEvoy, Mr. Mealiffe and Ms. Hourigan who organized the trip and travelled with us. Students from Mr. McManus' TY Maths class recently ran a casino for 1st year students. The games were invented and ran by the TY students with the aim of teaching the 1st year students the concept of Probability, an important topic in Junior Cycle Maths. Great fun was had by all and well done to the TY students for organising the successful event. All 6th year higher level English students recently paid a visit to An Bord Gais Theatre to view a performance of the Shakespeare classic Macbeth. The play is on the Leaving Cert course and the students thoroughly enjoyed the performance. ​Over 250 students descended upon Mount Lucas Wind-Farm on Friday before mid-term for our annual Sponsored Run which raises funds for our Extra-curricular activities. Thank you to everyone at Bord na Móna for looking after us and for the use of their fantastic amenity. 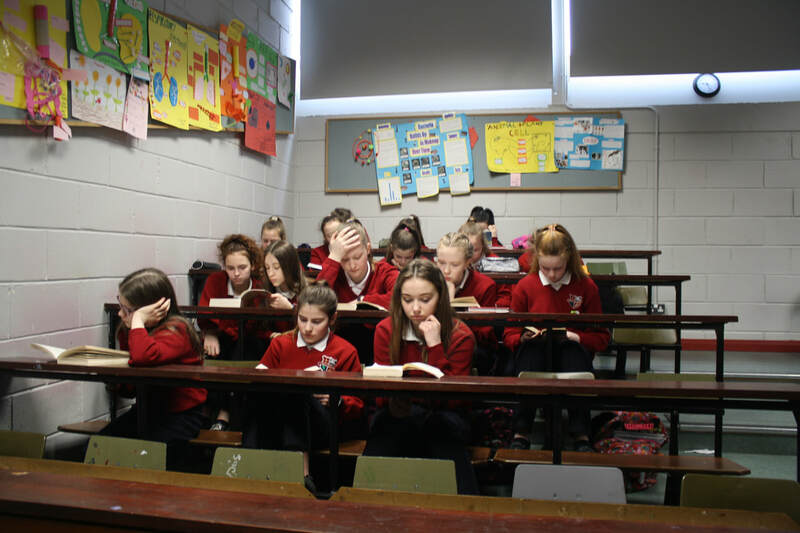 St. Mary's opened its doors to all 6th class students from the local National Schools to give them a flavour of life in St. Mary's. On their visit the students got to participate in P.E. 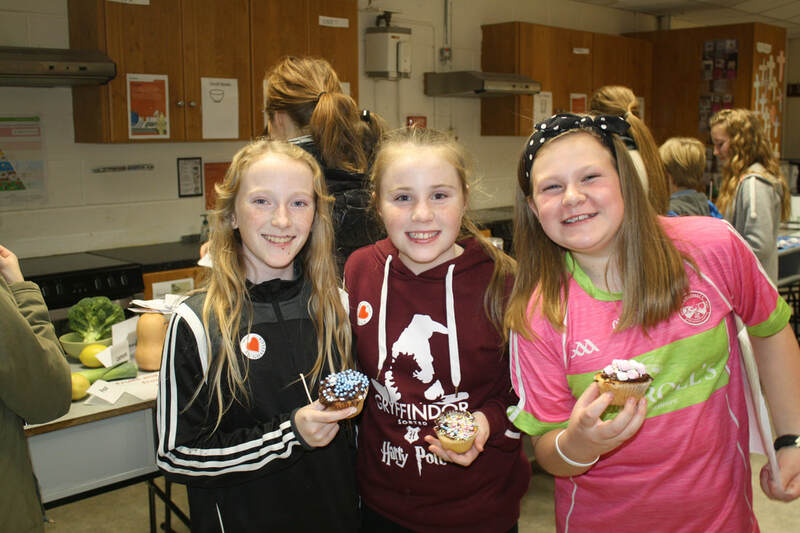 classes, Science, Woodwork and also test their baking skills in the kitchens. We really enjoyed having you all and look forward to seeing you all again on our open evening. On Wednesday 28th September the TY class from St. Mary's made a trip to Colaiste Acla in Achill for 3 days of fun and adventure all through Irish. The TY class along with teachers- participated in all sorts of sports including surfing, cliff diving, bog hopping and hiking. The also participated in ceili's at night time. The group arrived back on Friday afternoon tired and weary but with very fond memories of a memorable trip to Achill.